Many of us buy gold and silver coins in mint packaging which SHOULD greatly reduce the chances of being scammed with fake gold coins or bars. 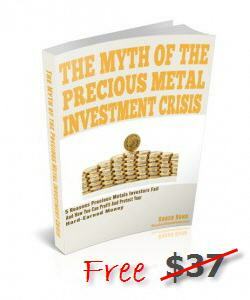 And while the pain per scam is much lower with silver coins and bars, that danger exists as well. The fact is that lots of us do buy gold and silver coins and bars from many sources and certainly not always in sealed mint wrappers. And some coins from the mint are delivered to us in a plastic tube but in no way sealed for authenticity. So it begs the question of whether or not one can easily obtain and use a fake coin tester or detector with assurance of reliable results. Unless, though, you are thinking that fake gold coins are not likely to show up in the United States, just places like China or even Europe? When news broke of a fake 10 ounce gold Swiss PAMP bar in New York’s jewelry district (September, 2012) many people were shocked to find such a high quality perpetration of fraud. At this time we do not know what prompted the businessman to suspect these highly regarded gold bars even though he procured them from another reputable dealer that he had known for some time. Yet he chose to drill into that beautiful bar – maybe he would melt it for jewelry anyway – but find gray tungsten inside, he did. In fact, the photos make it look like a swiss chocolate with a gold wrapper. Very well done fake gold bar. And let’s remember that at current prices a 10 ounce Swiss PAMP bar is worth around US$18,000 if it’s genuine and maybe about $100 if not! Keep in mind that all of these measurements must be correct or a highly skilled fraud could scam you out of your money AND embarrass you or endanger you to prosecution when you try to sell such a fake coin. On the internet you will find things like a gold coin balance or micrometer testing solutions to try to test for fake gold coins. But understand that you then have to have the correct measurements for the coin or bar you are testing AND use the instrument properly. One solution that is not inexpensive but is rather fool proof are the Fisch tools for detecting counterfeit gold coins and bars; now even silver coins. Notice that the Fisch tools leave nothing to chance; a child could use them. And when it comes to what could be normal wear and tear on older coins, the balance tips withing 0.7% of the proper weight. For a detailed explanation of why the Fisch tools work and will not let you make an error, click here. Personally we feel that the Fisch tools are the best way for the average, normal person to test for fake coins or gold bullion. Since they offer you EXCELLENT DISCOUNTS for buying multiple fake coin detectors, you end up probably buying ones you may not need and spending more money! We do not know the people at Fisch personally and make nothing for recommending them. 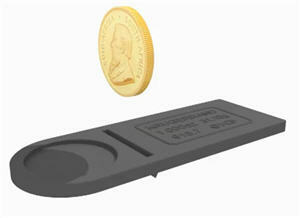 If you want to find out more about Fisch fake coin testers and detectors, click here.